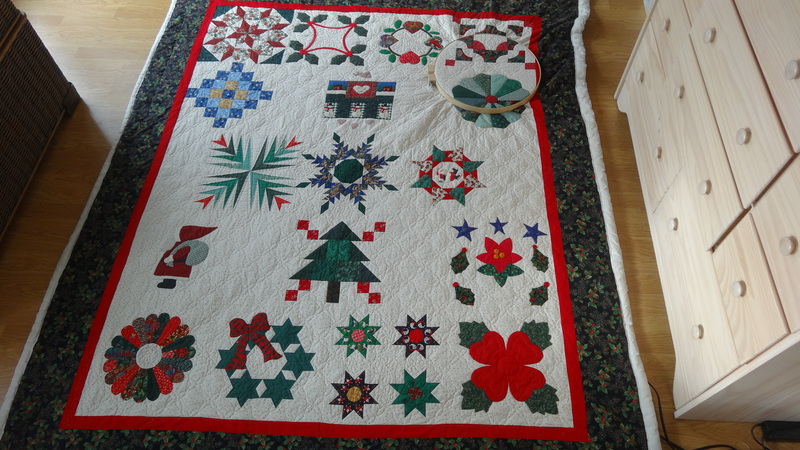 So I needed something in my hoop last night and decided to pull out my forever project, the Christmas applique quilt. 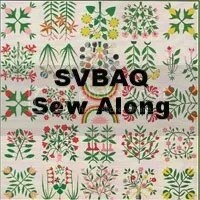 Made as a group project with ladies back in the 90’s known as The Evening Bags, I am down to finishing the middle part of the quilt, the narrow red border and the outer black print border. 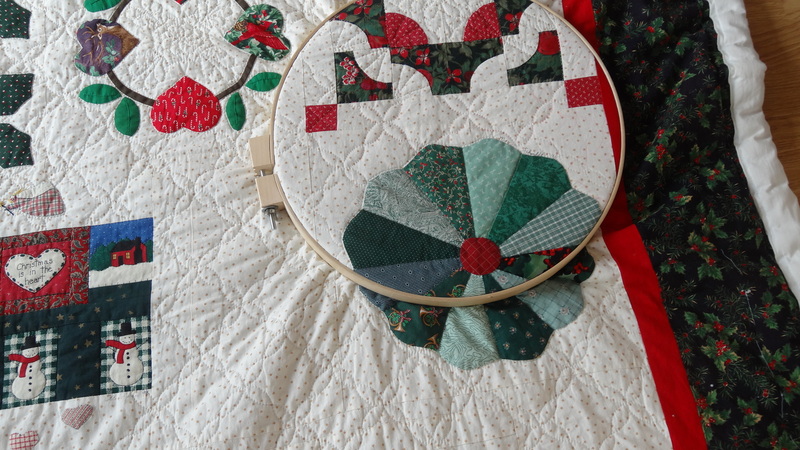 The gold thread I selected for the red border is a challenge to work with and I had some other fill issues with the white background but and feeling more confident that I can, indeed, finish this “forever project” this time round!! 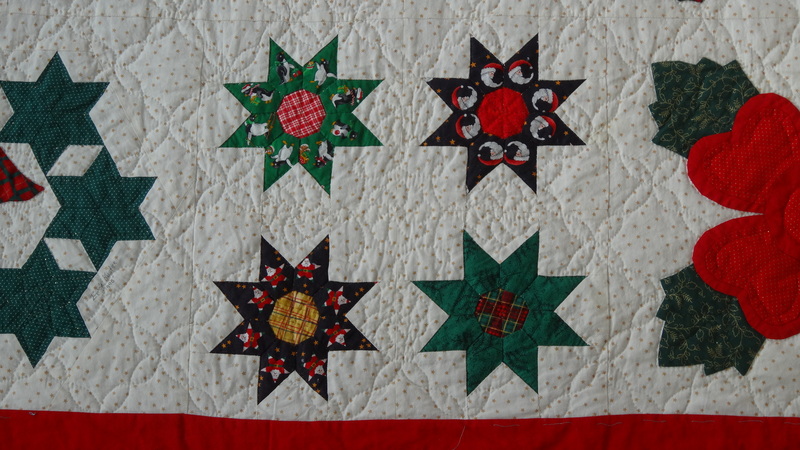 I think finishing the 8 Pointed Brown Star quilt has given me inspiration!!!! 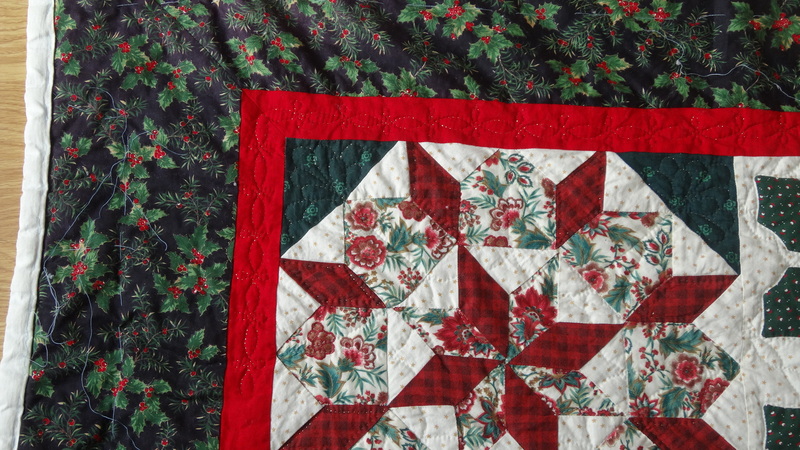 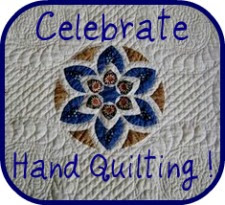 What a beautiful quilt, a work of art for Christmas.